Bungie’s mysterious Exotic vendor and Agent of the Nine Xur has returned to the Reef in Destiny. Head to the Vestian Outpost to ye olde door that used to be closed off where he will remain until July 17th, 2 AM PST. This week’s Exotic gear includes Ruin Wings (Titan gloves that drop heavy ammo more frequently), Young Ahamkara’s Spine (Hunter gloves that provide increased Tripmine duration and an additional Tripmine grenade) and Light Beyond Nemesis (Warlock helm that allows you to revive teammates faster). Each piece retails for 13 Strange Coins. 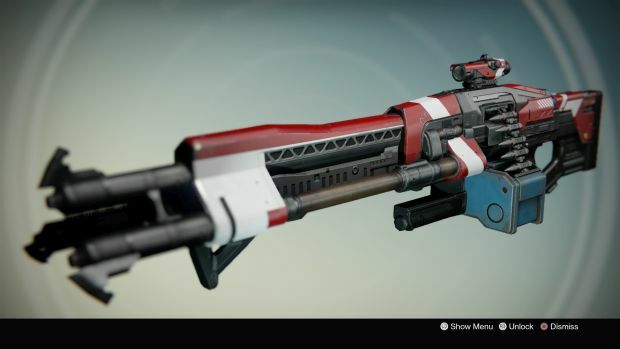 The Exotic weapon this week is the heavy machine gun Super Good Advice for 17 Strange Coins. Despite its less than stellar accuracy and stability, the SGA has a great fire rate and the ability to return missed shots to the magazine. Year One item collectors may be disappointed with this week’s Legacy Engram – it’s for gauntlets and retails for 29 Strange Coins each.